EPCOT Explorer – Disneyland. National Parks. EPCOT. World's Fairs. Tiki Culture. Minutia. Mahalo! I am deeply unsettled and unhappy that the National Park Service is considering raising entry fees to $70 at some of America’s most famous and highly trafficked National Parks. Yes, that money could go towards funding the backlog of maintenance and infrastructure projects that the parks so desperately need. Yes, it would quell peak overcrowding and safeguard the parks from being ‘loved to death’. But isn’t it the duty congress to fund the parks and take care of them? And shouldn’t we take smarter and more inclusive measures to ensure that crowds don’t overwhelm the parks? When it comes down to it, the parks are democratic spaces for ourselves and for our country. A seventy dollar fee should not stop anyone from partaking in the enjoyment of their public lands. Our National Parks are where we fall in love with the best parts of our country and the best parts of ourselves. 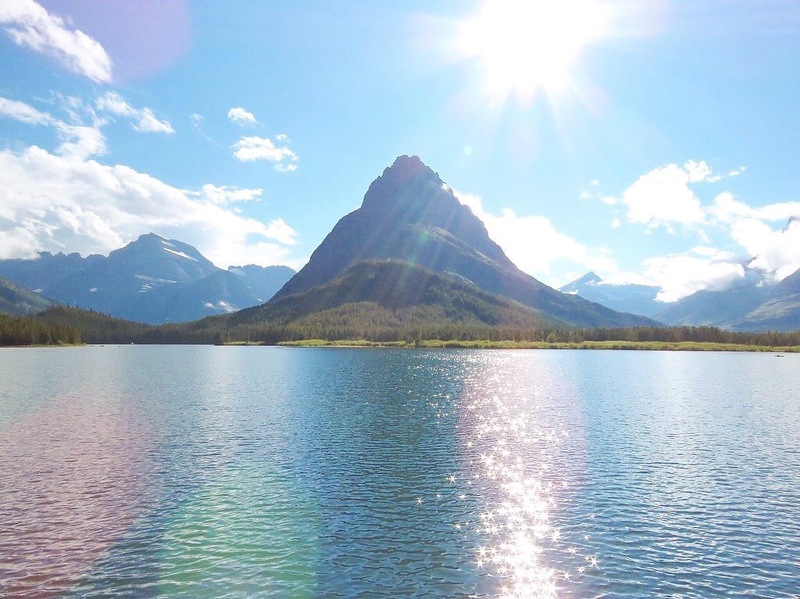 Our National Parks reflect our highest ideals and our grandest scenery. Our National Parks are where we celebrate our story and the potential of our lands and its people. Everyone should be able to experience the enrichment that is a day amongst natural splendor and history. Seventy dollars shouldn’t stand in the way of that essential and transformative experience. The Department of the Interior is going to hold a period of 30 days for public comments on these proposed entry fees. I urge every one of you to comment on their website, call your representatives, and keep our best idea inclusive and available for all. 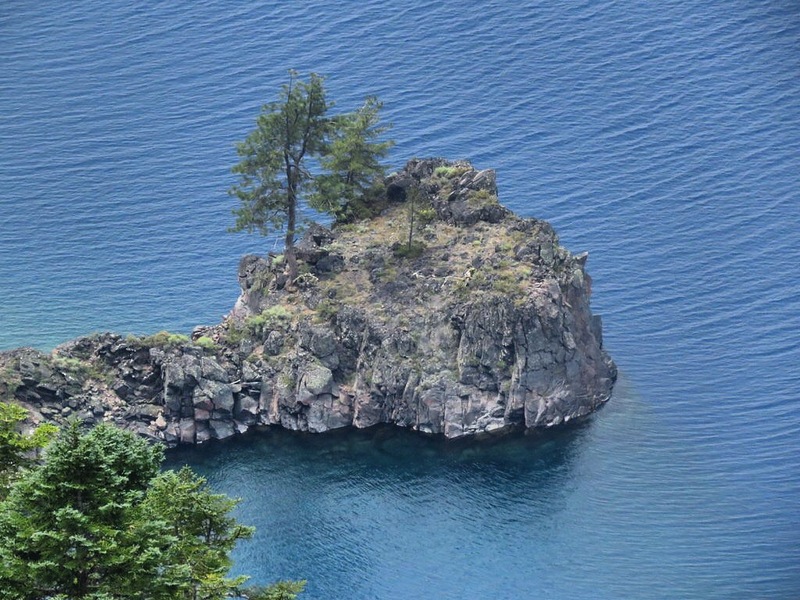 Our parks are for the benefit and enjoyment of the people… not for a price. 83 years ago, today, my home park, Everglades National Park was established. The Everglades are different from the idea that most people carry of a national park. First- the Everglades were originally set aside not for their scenery, but the the diverse species of birds found within them. But in addition to that, the scenery of the Everglades is not the normal scenery most expect out of a National Park experience. There are no mountains. There are no massive trees or sparkling coastline. 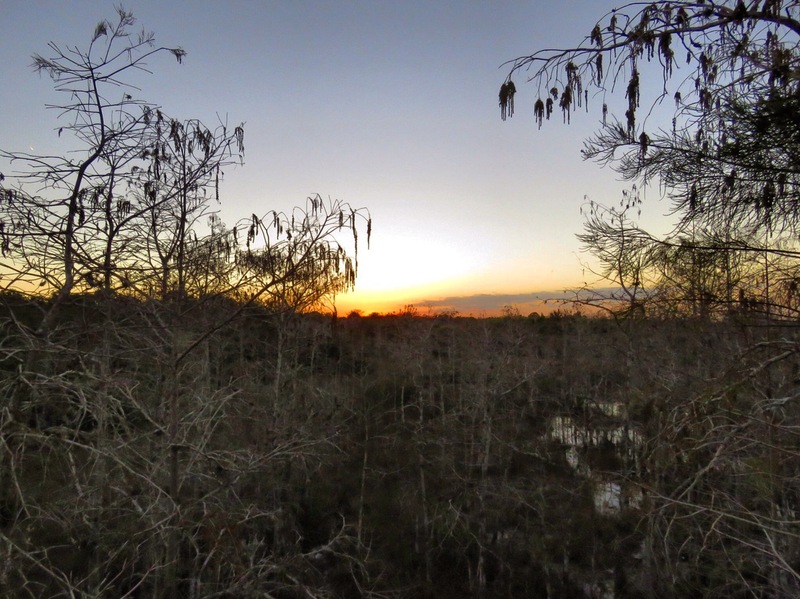 There is no impressive physical natural structure in the Everglades. But there is vastness. There is an infinite feeling of space stretching on beyond the horizon, a feeling of wilderness unspoiled, untouched, and unfettered by human concern and problems. And for that reason, the Everglades are my local salvation. No, I can’t go escape to the mountains when I find myself “nerve-shaken” and so in need of the “irrigating fountains of life” that John Muir so rightfully called our National Parks, but I can find myself delightfully surrounded by the overwhelming space of my wonderful River of Grass. Happy anniversary. 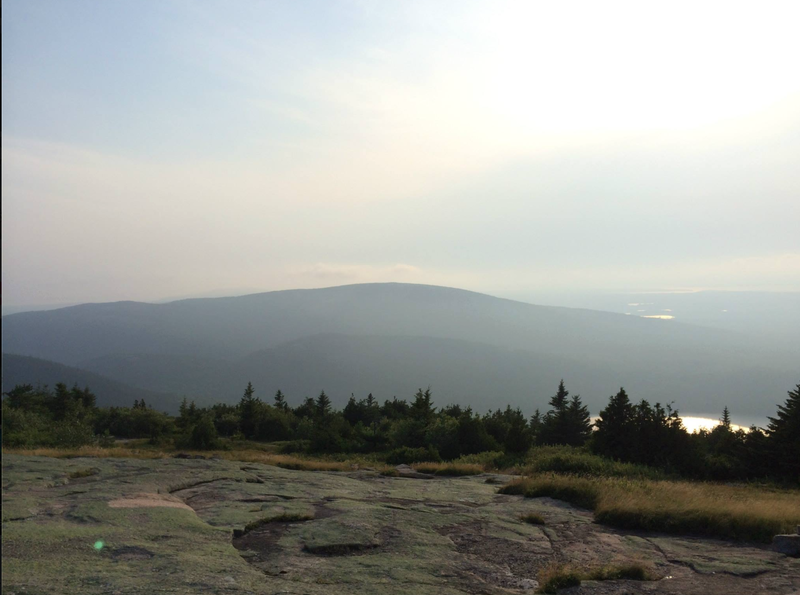 88 years ago today, Acadia National Park was established, thus safeguarding some of the most majestic scenery and immersive wilderness in the US. It’s worth noting that Acadia was largely preserved because of private stewardship, and enterprise, mostly through the actions of George Dorr and John D. Rockefeller. Most of Acadia was donated to the government. It is disturbing to realize that such a beautiful place was ever in danger of being privatized and locked away. But, here we are, about to embark upon an era where there are those that think that our national treasures should not be available to all and used, myopically, for cheap and easy profits. Those people are wrong. They will be revealed as wrong, in time. History is not kind to those that do not think of the future. Preserving land, preserving nature, preserving the environment, and preserving the planet is our last best hope at preserving ourselves. 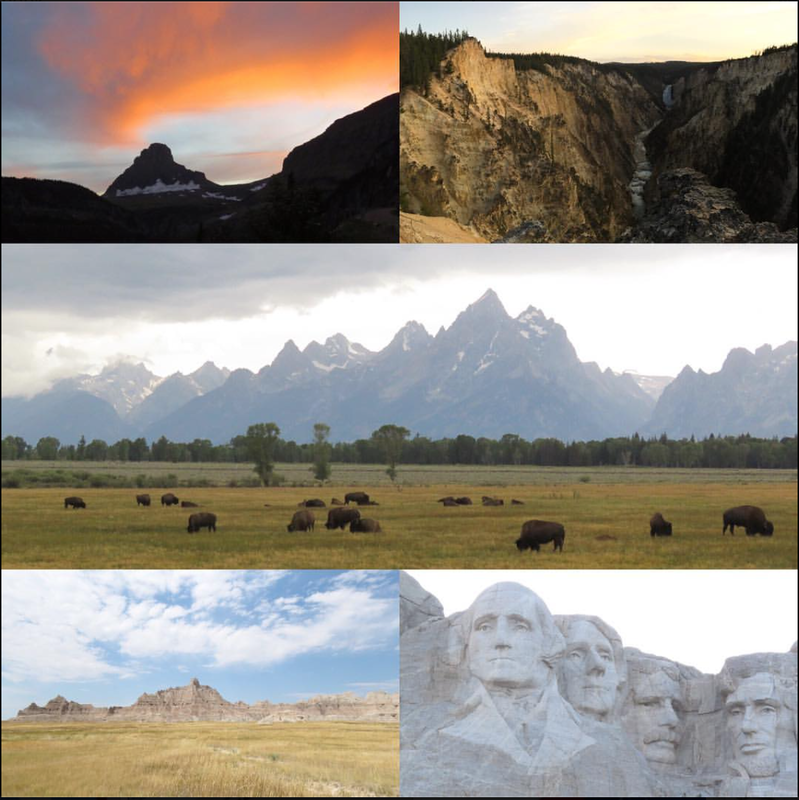 On August 25th, 2016, the National Park Service marks a full century of action, of use, and of preserving the natural and historic wonders of the United States of America. Although there are National Parks that are older than the system itself, the watershed moment in saving and preserving these sites occurred a hundred years ago and was the action of committing to these landmarks, themselves. The creation of the National Park Service is the true keystone to understanding the importance and significance of both the physical and the judicial act of setting aside public lands, while encapsulating the legacy of these special places. The legacy of our National Park Service is that it has been grandly called “America’s best idea”, and rightfully so. 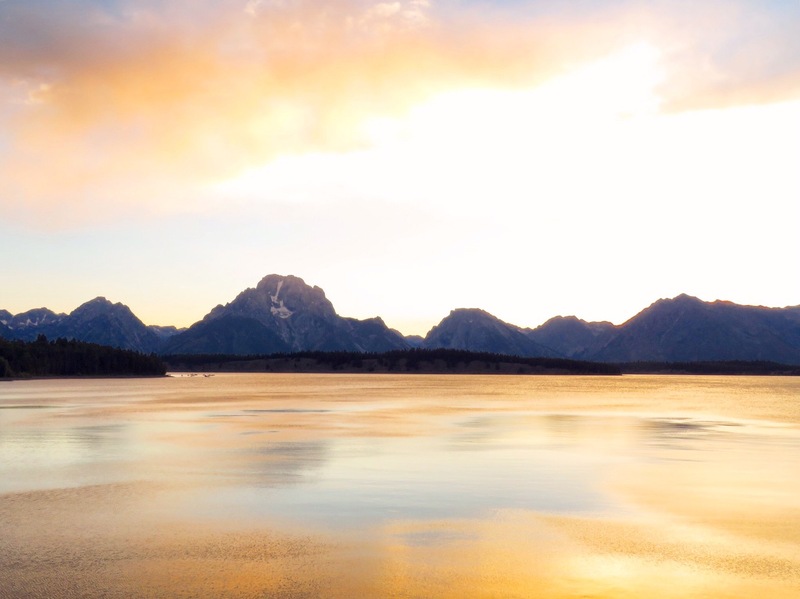 For 100 years, they have been a reflection of our best spirit and our best philosophy: Upon hearing the phrase “America’s best idea” used in conjunction with the national parks, it would be understandable to question that assertion. How can the National Parks be called America’s best idea when perhaps America’s largest contribution to the world is putting into practice representative and democratic government? 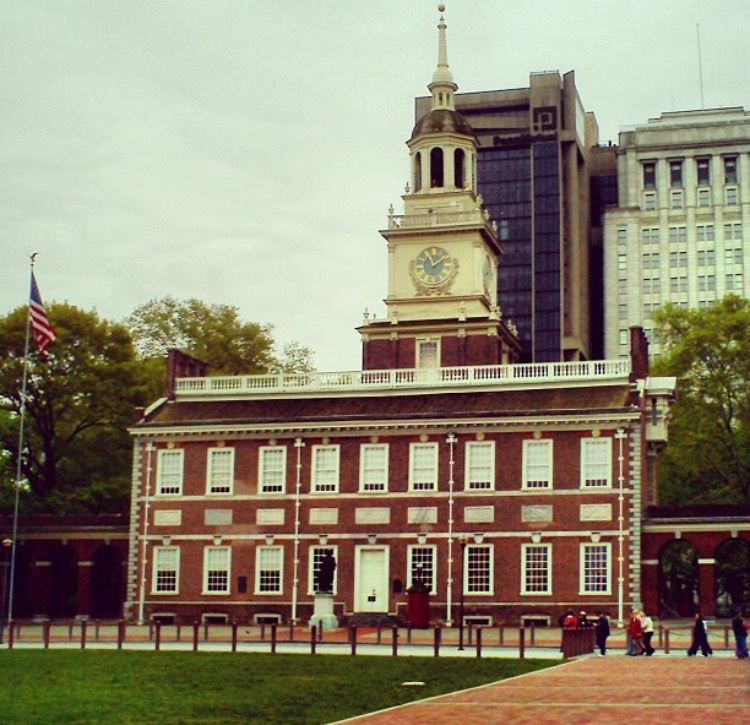 America’s revolution for independence sparked and inspired a wave of social and political paradigm shifts across the globe during the Age of Enlightenment that resulted in the common citizenry taking on the reigns of self-government. How do the National Parks fit into that? Or live up to that? I believe that the National Parks are a reflection of that self governance as we, the people, have taken it upon ourselves to safeguard and honor our most sacred natural wonders and our historic landmarks. The National Parks are a representation and manifestation of our government- that the people are free to do with their resources as they choose, and saving them for enjoyment and preservation and saving them from overuse and profit, verily bolsters that commitment. 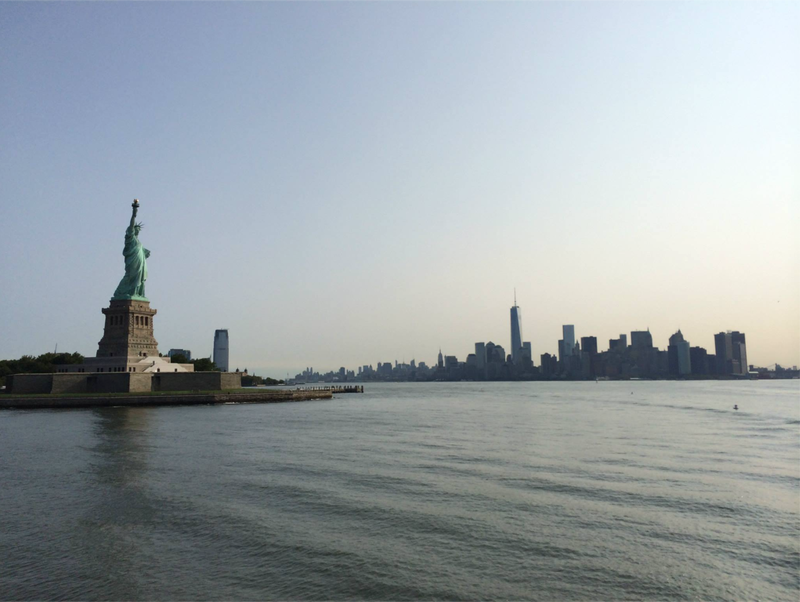 What makes a nation more an example of freedom and personal choice than having lands and landmarks dedicated to recreation, self-discovery, exploration, and even spirituality? If land is free, so must be its people. In an age when the frontiers of human liberty and civil rights are challenged and looked at (rightfully!) to be broadened, the National Park Service serves as an example of the egalitarian spirit that should guide our political discourse more often. Our best idea is to make our natural wonder and our historic sites available for all and on display to all. 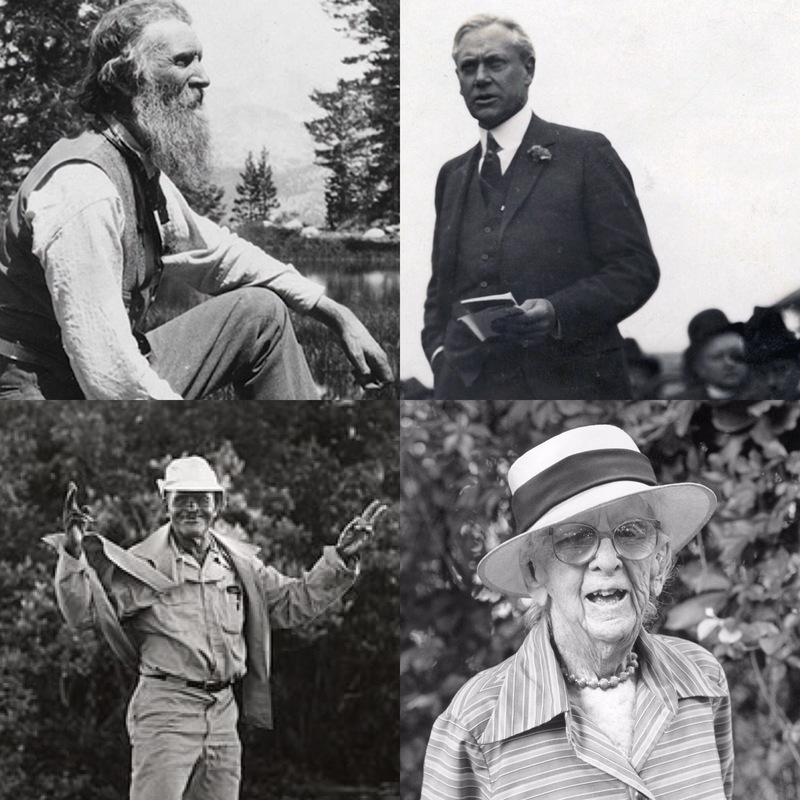 Famous faces: John Muir, Stephen Mather, Lancelot Jones, and Marjory Stoneman Douglas. For 100 years, they have served as a reminder of the egalitarian nature of America and the multinational creed of this country. The story of America is a story of all cultures and of all races and people of all backgrounds blending together. So is the story of the National Park Service. John Muir, the father of the National Parks idea, was a Scottish immigrant. Lancelot Jones, the man who pushed for the preservation of Miami’s Biscayne Bay was the son of a former slave. Teddy Roosevelt, the president who began to lead the charge in creating National Parks and National Monuments, hailed from an aristocratic and politically powerful family from New York. Conversely, Stephen Mather, the first director of the National Parks Service was a self-made millionaire before he became a naturalist and used his business acumen and his own funds to buy land for the National Park Service so that it might be saved for posterity. Juanita Greene and Marjory Stoneman Douglas did not have vast political machines behind them, but used the power of the press and grassroots organization to save Florida’s River of Grass, the Everglades. 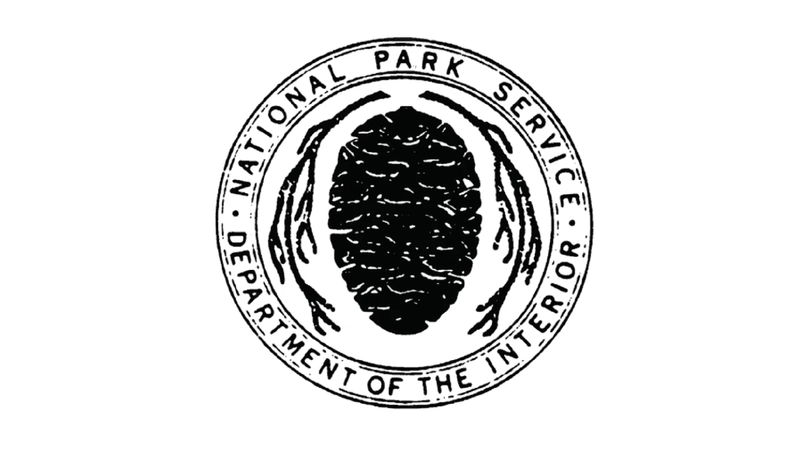 The National Park Service draws from the vast and diverse wellspring of American culture; that out of many we are one- both the parks serve as individual units in a collective National Park System and that individual citizens from all walks of life and all background contribute and protect and serve the efforts of conservation and preservation. Our best idea reflects the importance of inclusivity and diversity. For 100 years, the National Park Service has preserved a bevy of American and international superlatives. The NPS protects the world’s deepest canyon in Arizona’s Grand Canyon. The continent’s highest peak is found in Alaska’s Denali National Park. 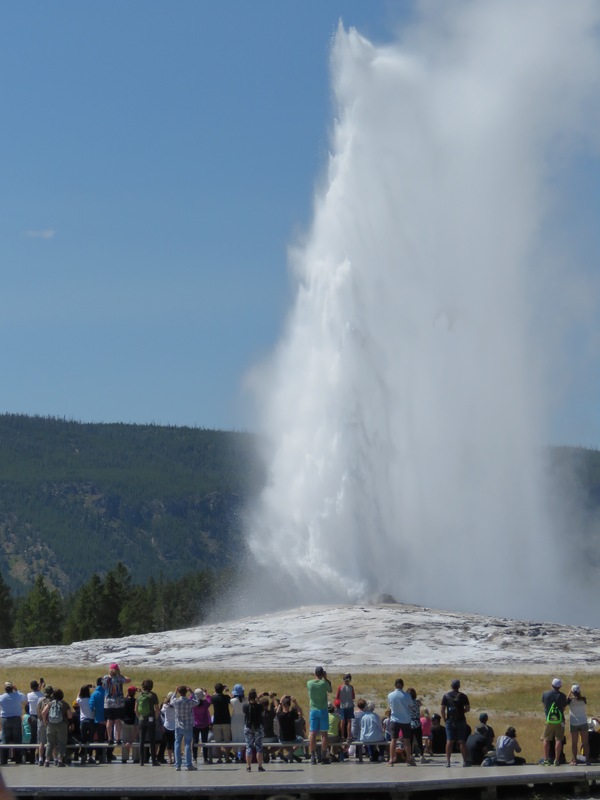 The world’s largest collection of volcanic geysers, fumaroles, mud pots, and hot springs are found in the wilds of Wyoming and Yellowstone National Park. The only ecosystem of its kind, where both crocodiles and alligators can be found in the same habitat is Florida’s Everglades National Park. 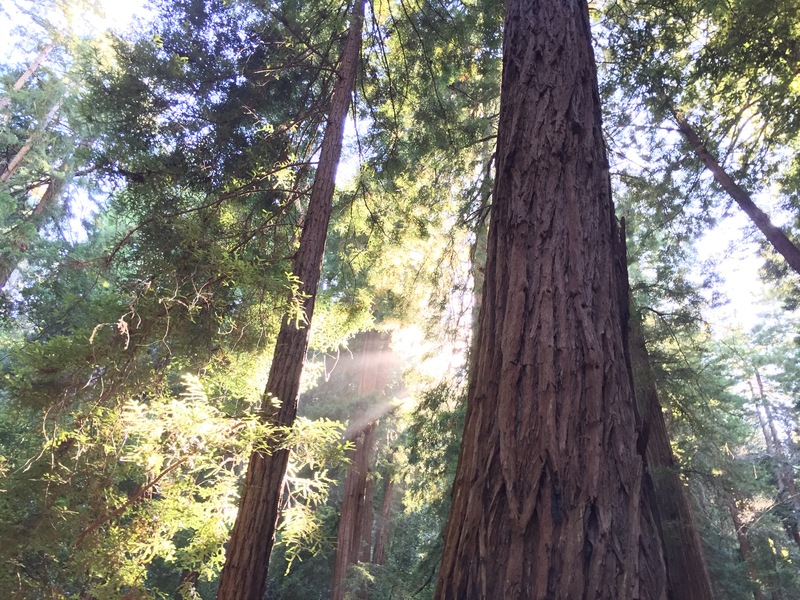 The world’s tallest trees are in California’s Redwood National Park. The world’s largest trees are in Sequoia National Park. The world’s oldest living organisms are found in California and Joshua Tree National Park. Our best idea showcases the oddities and the wonders of the exceptional natural world we live in. For 100 years, our National Parks have been places of solace, places of contemplation, places of hope, and places of personal memories, histories, journeys, and adventures. Travelers from across the world have trekked to see public lands and famous landmarks that define American culture. Countless American families have dedicated summers to the quintessential road trip, piled into a car, and seen what the American landscape has to offer…. And in the process have had an adventure together. Memories have been forged, connections have been made, and bonds have been deepened out in the wilds of our National Parks. Staring up at the stern and powerful face of the Statue of Liberty or into the cavernous Great Hall of Ellis Island is a reminder of my own personal heritage- the story of the Polish immigrant who dreamed of coming to America, despite leaving behind the familiarity of a home country and a family, across the Atlantic in Europe. 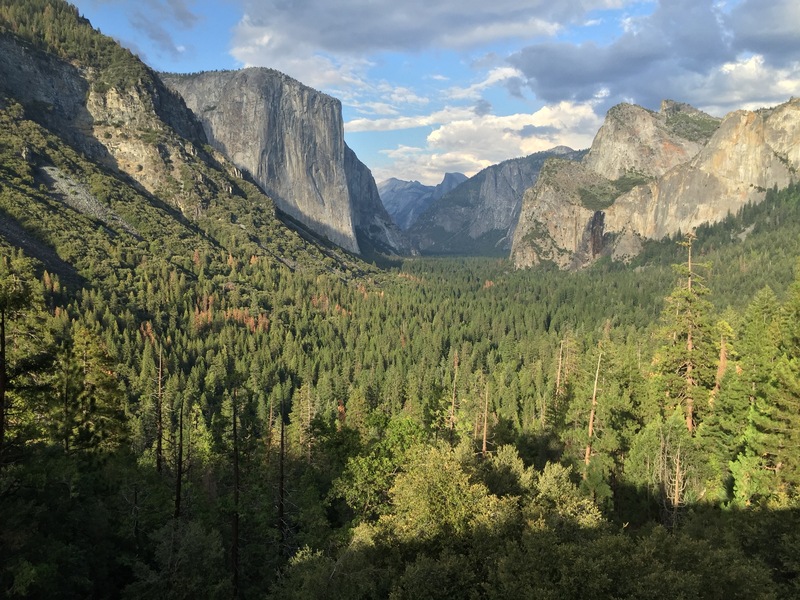 Hikes into the backcountry of any National Park, deep into the wilderness of Yosemite or Acadia, offer a true disconnect from the rest of the world and the truest and most pure form of peace that I have ever found possible in a frenetic and always-connected world. Staring out at the vastness of space and sky and air and water and grass that is found at Everglades National Park’s Payhayokee Overlook is a tacit reminder that there is some peaceful and serene spaces left in the world. Gazing out at the Crown of the Continent from Glacier’s Logan Pass affirms a feeling of spirituality, be it in terms of mysticism or religion, or awe in seeing the science of Planet Earth, first hand. 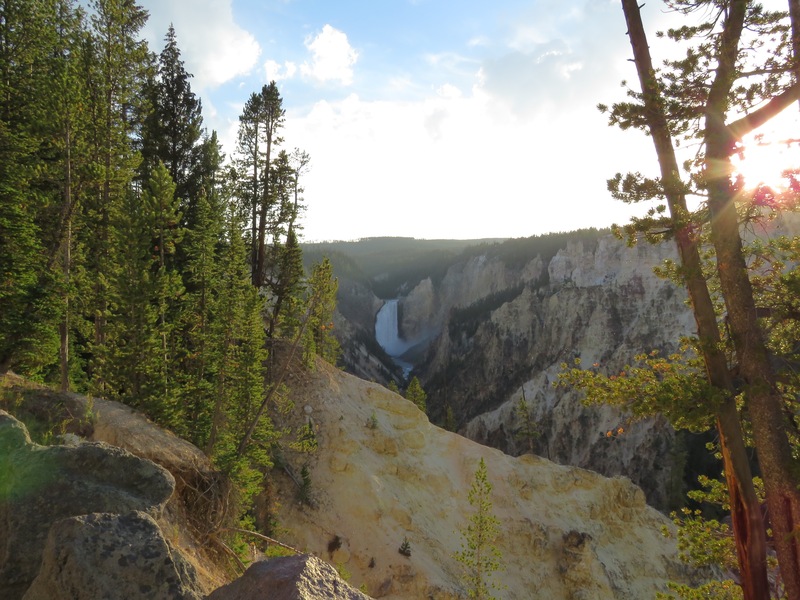 The depths of the Grand Canyon or the torrential waterfall at the Grand Canyon of the Yellowstone has the capacity to absolutely humble you and illustrates, through sheer grandeur alone, the persistence and power of nature. Standing next to a Redwood in Muir Woods is a testament to the longevity and resiliency of nature; when you were born, this tree was already centuries old, and still growing, and still in its “youth”. Inanimate, but still living, these aspects of our best idea relate to our humanity and our history, put things in perspective, and transform our outlook on life. So, as the National Park Service boldly strides into a new century, their commitment to preserving the best parts of our nation, be they natural wonders or places of historic and cultural importance, deftly qualifies the endeavor to be called “America’s best idea”. In so doing, “America’s best idea”, the accomplishment and act of saving land for future generations might just not be a solitary idea, but a guiding philosophy that has connections to the very deepest and most sacred parts of American culture. This photo was taken by me on one of the best days of my life… and edited by @AtDisneyAgain a few days later. All of my appreciation and respect to the Cast Members who are putting on a smile today and working, despite it being a terrible week for Orlando. My heart is heavy for my home away from home. Early in the planning stages for Tokyo Disneyland, WED was a flurry of creativity, simultaneously guiding Walt Disney World’s Magic Kingdom though its first few years and attempting to broaden the Vacation Kingdom with EPCOT- inspired initiatives. 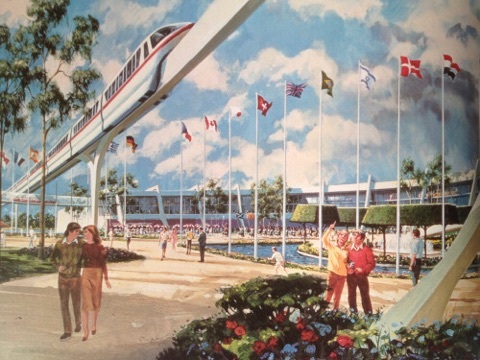 Most notable of the EPCOT projects was the Walt Disney World Showcase, an international exhibition. 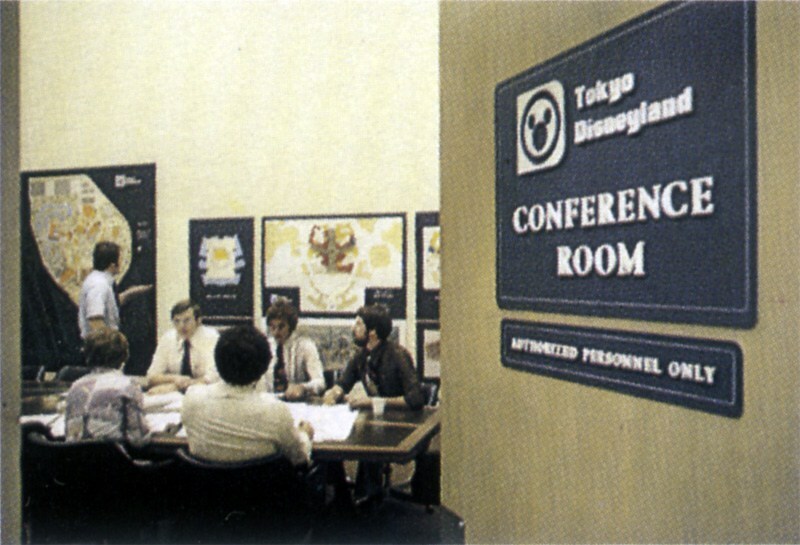 In 1974, discussions reached the point in which Japanese real estate companies wanted to move forward on what was dubbed “The Tokyo Bay Project” and Disney began to conceptualize what the American entertainment company would build in Japan. What Disney (Mostly the work of Imagineers John Hench and Claude Coats) came up with is an amalgamation of WED’s most recent and ongoing projects. Tokyo’s Magic Kingdom would have had the traditional Fantasyland, Tomorrowland, Adventureland, and Frontierland (Dubbed Westernland for Eastern audiences) but would have been prefaced by an EPCOT inspired Main Street: International Land featuring a World Bazar. If built, the street would have been a massive, climate controlled atrium, but instead of housing the traditional Victorian facades of Midwestern America, a sleek and space age showplace would have dominated the landscape with exhibits and pavilions from countries around the world. Essentially, a World Showcase would have been dropped down in Tokyo Disneyland’s entrance corridor bringing a bit of EPCOT to a bold, new theme park in Asia. 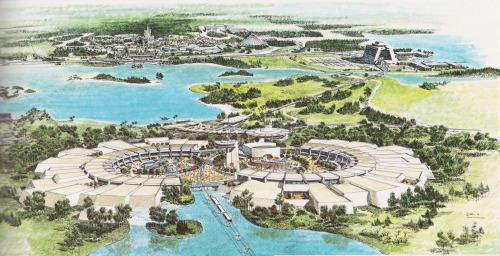 These plans bare a remarkable resemblance to the plans for one of the earliest iterations of World Showcase planned for Walt Disney World, which would have sat just south of the Ticket and Transportation Center. 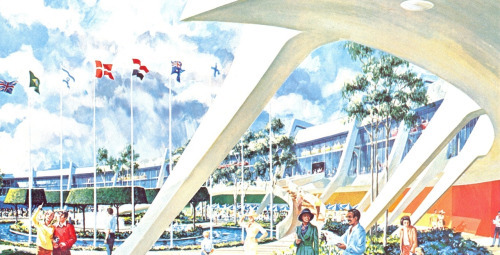 Sadly, the plans for an international showcase never materialized in Tokyo, and the plans for Florida’s World Showcase soon evolved out of a singular building and into a concept with individual pavilions, as spearheaded by Harper Goff . The name stuck, though, and a victorian World Bazar greets guests in Tokyo Disneyland, atrium and all. Sad news to report today. Jack Lindquist, one of the most influential leaders at Disney, has passed away. 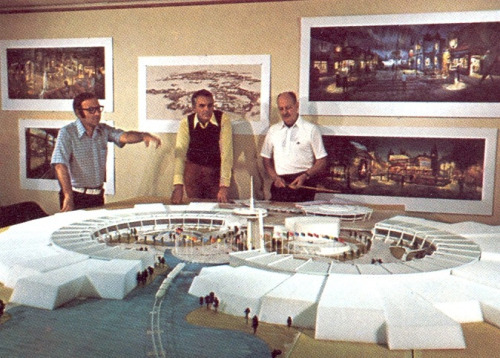 Seen here, Lindquist stands in front of a small mock up of the Mexico pavilion’s tableaux. The pyramid and backdrop planned for World Showcase would eventually grow to be 220 feet long, complete with an erupting volcano, towering above the Yucatan wilderness. 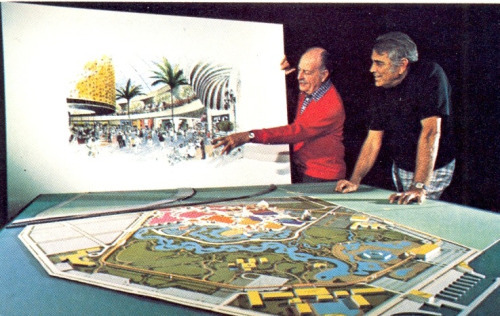 Jack Lindquist, though the Senior Vice President of Marketing was formally in charge of World Showcase Promotion and can be attributed with finalizing many of the agreements between Disney and the respective nations to be exhibited in EPCOT Center. If you follow me on Twitter and Instagram, you most certainly know that Disney isn’t my only interest. 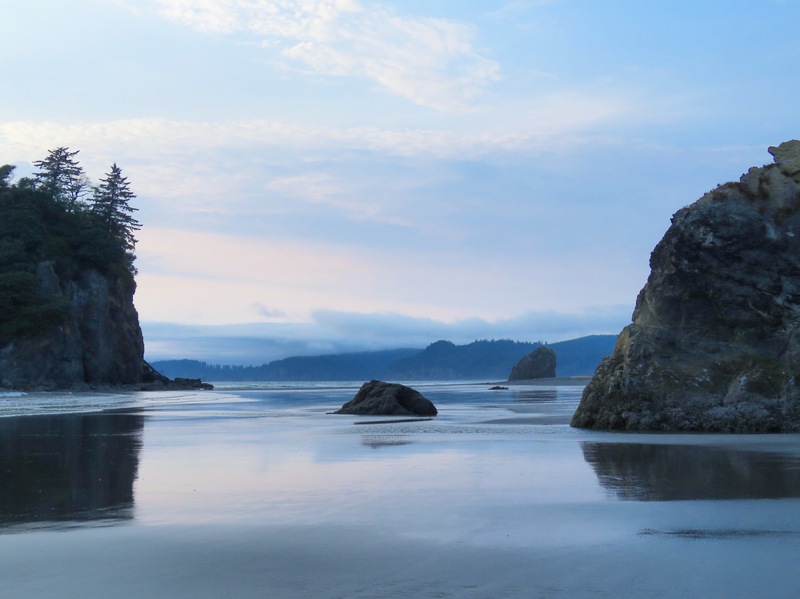 Ever since my childhood, National Parks played a formative role in pushing me into a career in history and education and also served as wonderful destinations on many family vacations. When visiting these often grand and sweeping places, my desire to capture them in my memory and on film has always been pretty strong. To do so, I had been using the tools that I could come by easiest. When I was a kid, it was a instant camera or a cheap Point and Shoot. As of late, I’ve been using an iPhone to capture images of the places I’ve visited. But as of last week, it looks like I’ll have the chance to capture photos with a a bit more finesse: I bought a camera! My good friend AtDisneyAgain recommended a Canon SX60 HS (what do those numbers even mean??) and it arrived on my doorstep on Friday evening. 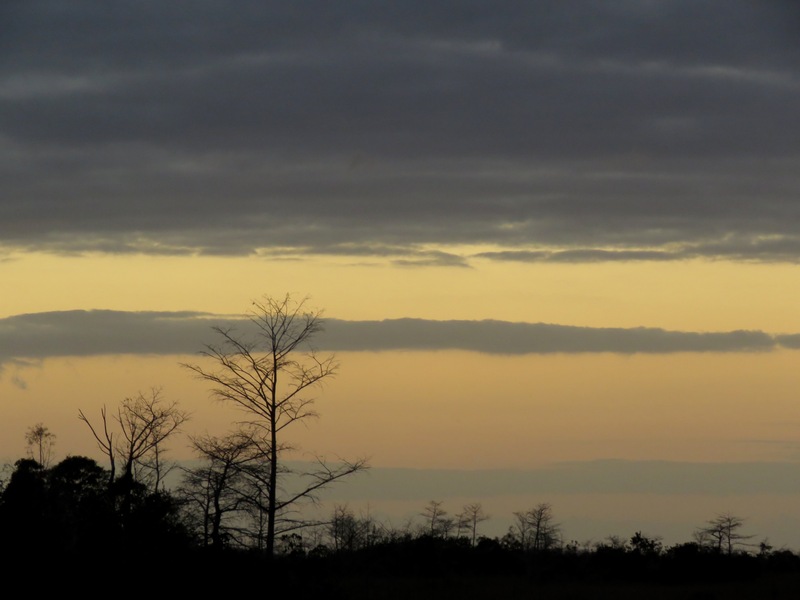 Come Saturday morning, I was already in Everglades National Park, trying my hand at taking pictures. My goal? Take visually pleasing pictures of the places and things that matter to me in the style that I’ve always wanted to. I’m not overtly concerned with the techy part of photography, but more about the introspection and ability to capture an image how my mind sees it. Perhaps that will change over time as I learn more and can use my camera in more advanced ways. Perhaps it won’t. We shall see… and I’m very eager to take my camera with me and see more.